Not even a single monument has got tag due to lack of government support. The Golconda Fort and the Qutub Shahi Tombs should certainly qualify, but the ground work and support from government departments in terms of documentation, providing exact land records and details is lacking. 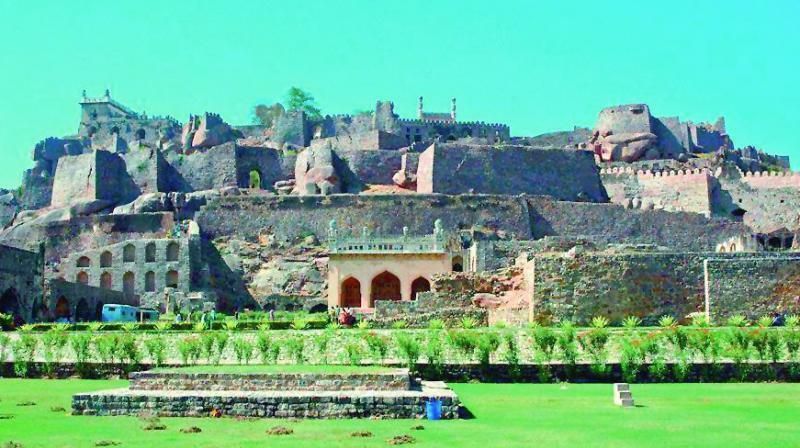 Hyderabad: With World Heritage Day on April 18, it may be time to ponder why a state with such a treasure trove of ancient and unique monuments, has been unable to secure the coveted World Heritage Tag of Unesco for a single site in all these years. It is also in the government’s hands to provide the facilities that are a requirement for a site to qualify for the prestigious list. Unesco (United Nations Educational Social and Cultural Organisation) recognises specific landmarks as World Heritage Sites based on their historic value. But these sites must also have certain infrastructure and facilities, as for instance, availability of parking space, sewage disposal, toilets, cafeteria, and a buffer zone where there is a proper landscape to prevent worsening condition of the monuments due to climate as it provides an additional layer of protection. In India, typically, this means there should be no illegal encroachments around the site. P. Anuradha Reddy, convenor of INTACH (Indian National Trust for Art and Cultural Heritage) says that to get the status of World Heritage site for monuments in the city, the government will have to get various departments such as public works, municipal corporation, police and archaeological department around one table, get the active involvement of the Archaeological Survey of India, and get all of them to co-ordinate to protect the site. This will require a combined effort from all sections. The convenor of INTACH said departments that are involved in preserving monuments lack the required technical staff. Most importantly, there must be political will to recognise these monuments as assets and provide adequate funding. The Archaeological department and tourism department have to work together to promote these sites. If even one monument in the city gets the status of a World Heritage site, tourist numbers will increase many times and the revenue from tourism will multiply, she said. This year, the government of India nominated the Ramappa Temple in Warangal for World Heritage status, the only site nominated from this country. Unesco will select the site this year, but the state government has not been able to complete the process of nominations sent earlier of three sites — Qutub Shahi Tombs, Golconda Fort and Charminar. The Qutb Shahi monuments of the Golconda Fort, the Qutb Shahi Tombs and Charminar are the oldest and most significant monuments of the sister cities of Golconda and Hyderabad, successive capitals of the Qutb Shahis. The monuments of the Qutb Shahi period provide vivid testimony of the creative synthesis of Persian and Indian cultural traditions with a unique Deccani identity. The Qutb Shahi architecture began with Bahmani moorings and evolved a sophisticated architectural aesthetic within the Deccani paradigm, symbolising the zenith of Islamic architecture in South India. But the apathy of the state government has ensured that none of the above monuments has succeeded in getting the tag from the international agency. The government failed to fulfil the criteria listed above that would qualify these sites to be placed in the exclusive world heritage list. Officials of the various departments are blaming each other for the lapses. Mohammed Safiullah of the Deccan Heritage Trust said if the government pays just a little more attention, the Qutub Shahi Tombs could get the status as a lot of work has been done to preserve and restore the Tombs. The second phase of the project undertaken by the Aga Khan Foundation will be completed by 2023, and then chances of securing the tag are bright.